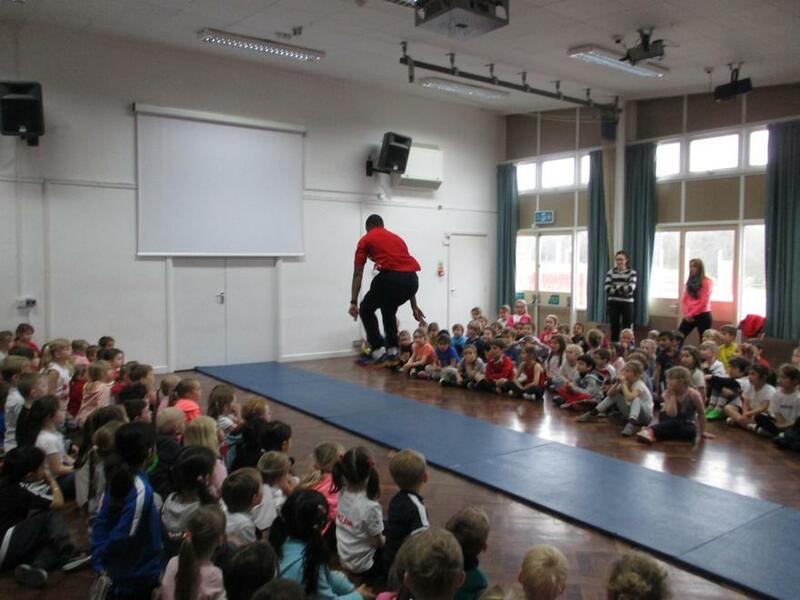 On Friday 18th March, we were excited to welcome Nathan Fox who is a Great Britain triple jumper. 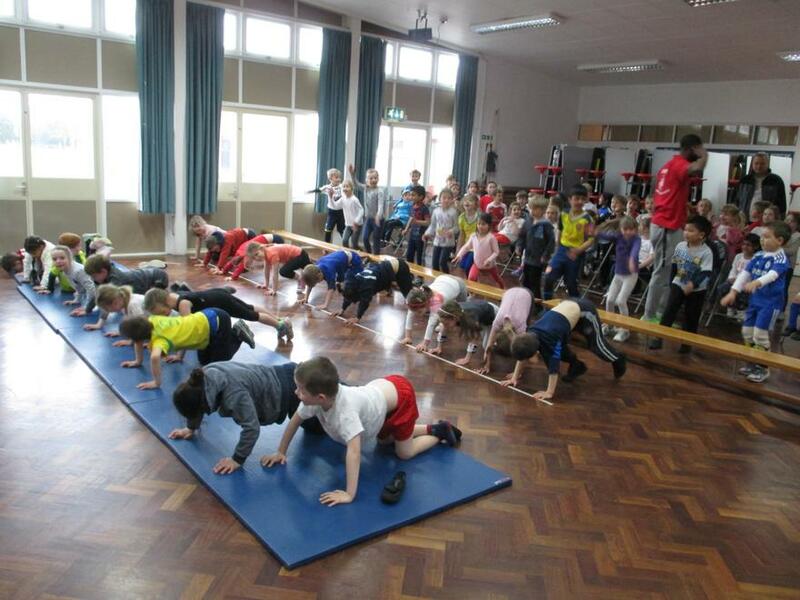 He came to help us to participate in a sponsored fitness circuit. 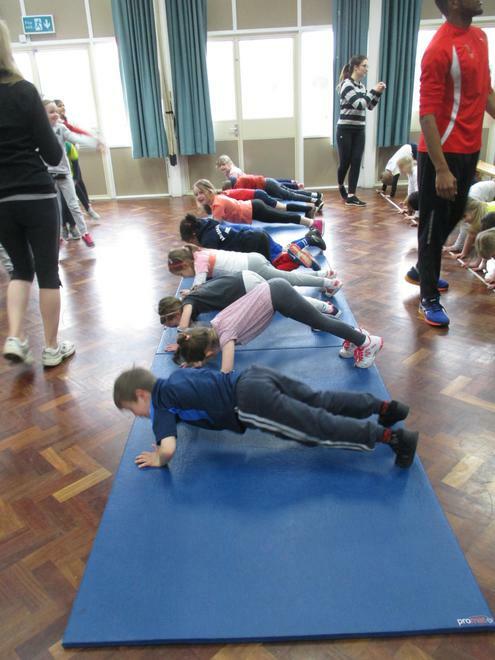 The circuit consisted of 'spotty dogs', 'leg drives', 'press ups' and 'star jumps'. 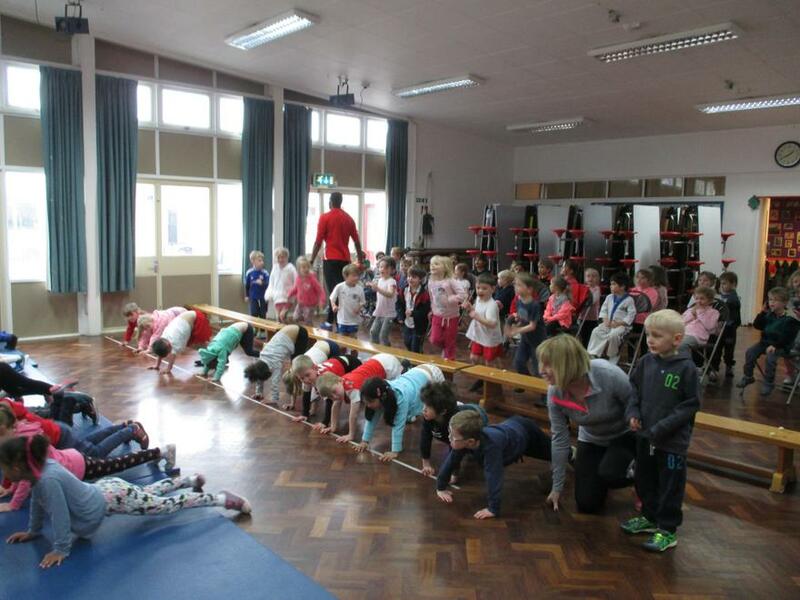 Even the teachers had a try! 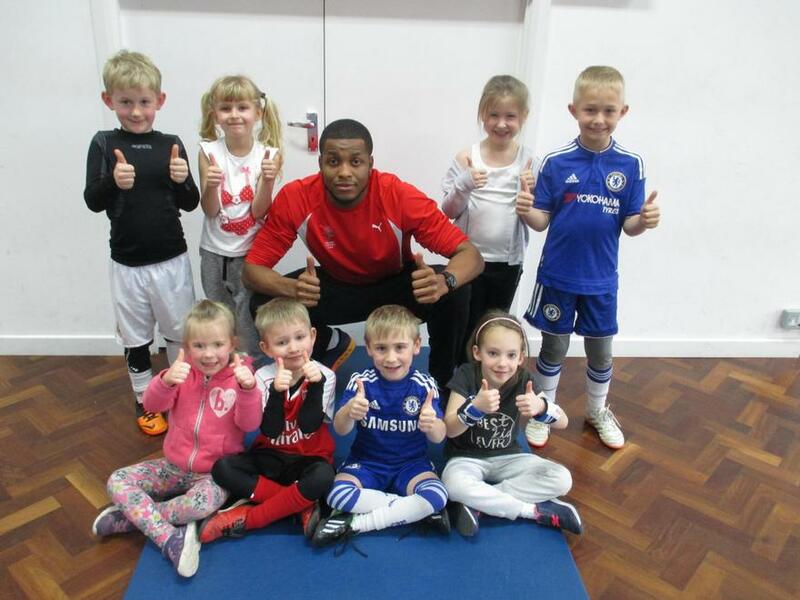 We all enjoyed the event and Nathan commended us for our high levels of energy and enthusiasm! 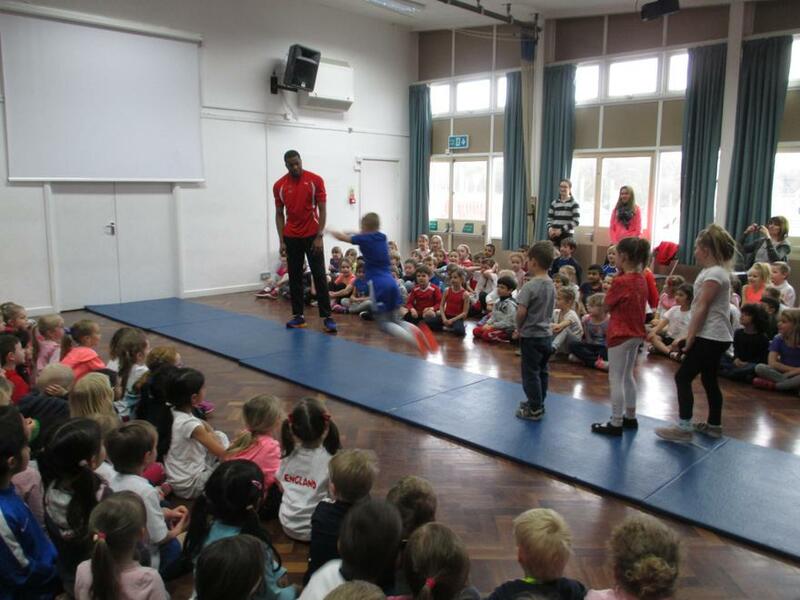 Nathan then hosted an inspirational assembly where he shared his triple jumping career and demonstrated a few of his training drills. 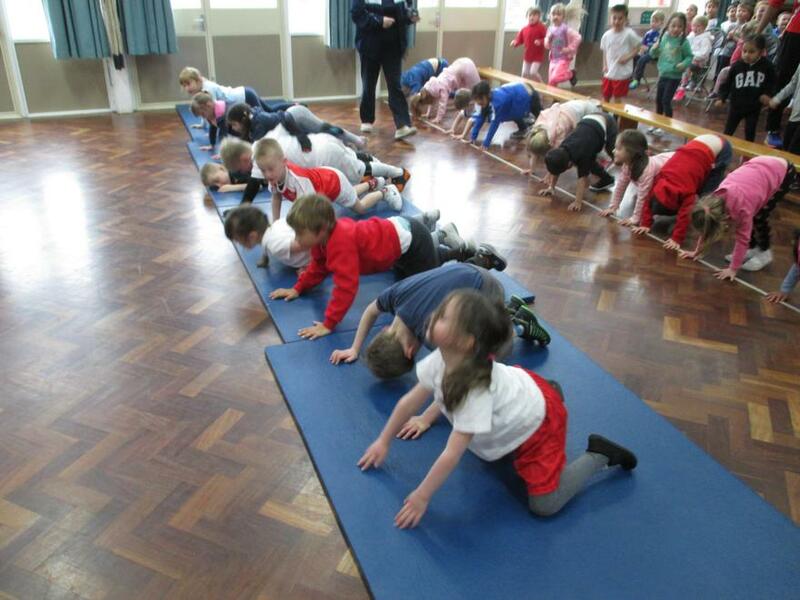 Many children were then chosen to have a try! Nathan will be competing on 25th June in the British Championships so we will be tuning in to watch him! 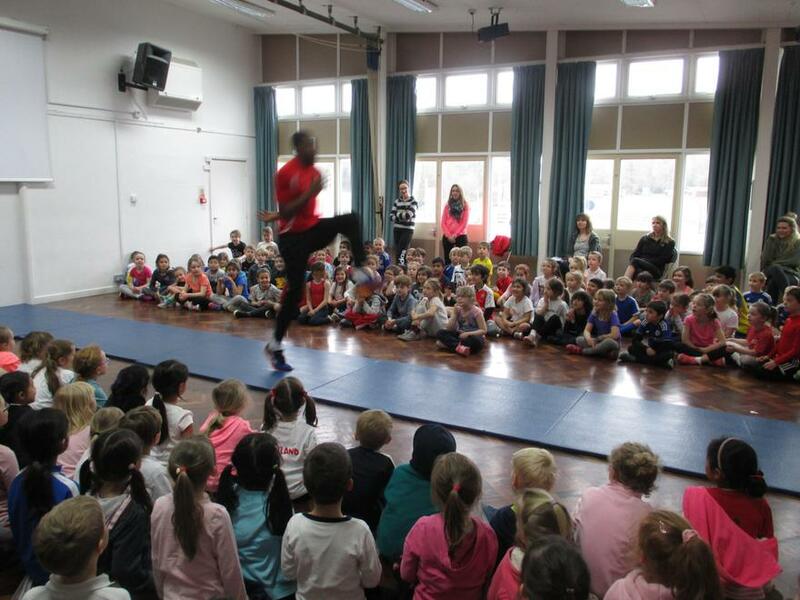 He is also hoping to be selected for Great Britain at the Rio Olympics later this year. 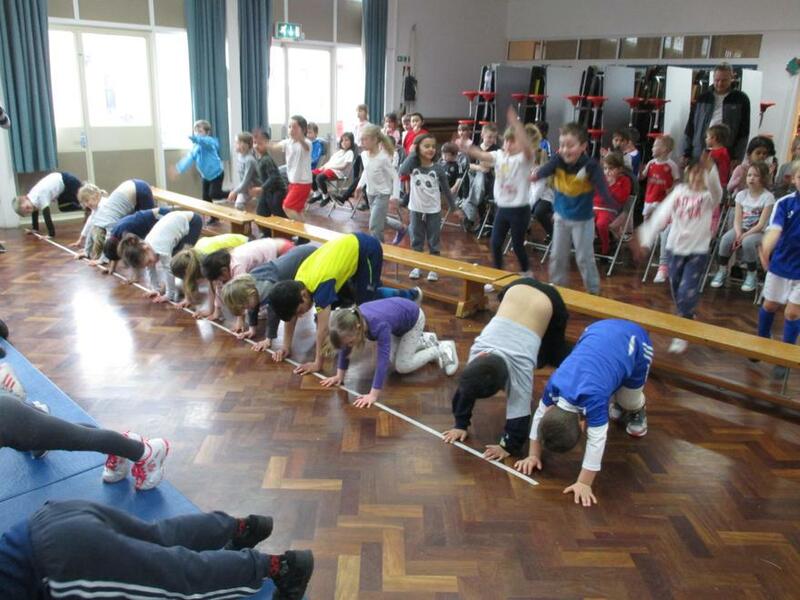 Do you like being a triple jumper? Yes especially when I get it right! Where did you learn to become a triple jumper? I went to my local athletics club. How old were you when you did your first triple jump? I was 13 years old. How long do you train for? I train for 25 hours per week. 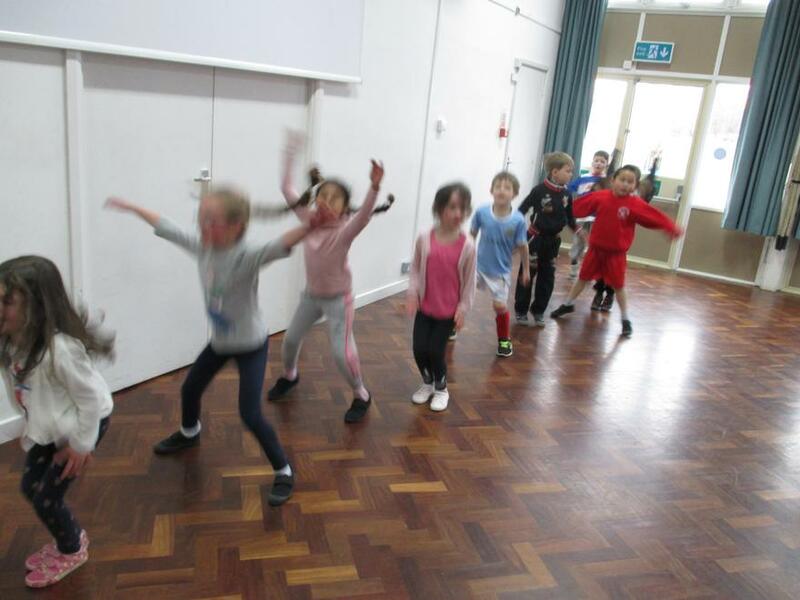 We would like to thank all the children and their families for supporting this fundraising event; we will let you know how much money was raised when we have a final total.